If you are involved in a truck accident, you or a family member could suffer catastrophic injuries that can leave you permanently disabled or cause death. Your needs for compensation to pay for your expensive medical treatments and replace your wages—sometimes for the rest of your life—can be greater than in a car accident. However, the negligent truck driver may not have sufficient insurance to fully pay you what you are owed. Holding the trucking company he works for responsible as well can be critical to ensuring that you receive what you deserve. One way that you can do this under Georgia law is by using the legal theory of vicarious liability. How Does Vicarious Liability Hold Trucking Companies Responsible for the Negligent Actions of Their Truck Drivers? The truck driver was working under the trucking company’s control and instructions. The trucking company had the authority to control the trucker’s actions. The truck driver was acting within the scope and course of his employment at the time of the wreck. Whether the truck driver was acting within the course and scope of his employment will depend on many factors, including what the truck had been doing right before the crash and where he was going at the time he caused your injuries. There is a presumption under Georgia law that an employee was within the scope and course of his employment if he was driving a company car or truck. If the trucker involved in your wreck was driving a truck owned by his employer, the law presumes that the trucking company is vicariously liable for his negligent actions. The trucking company would have the burden of proving that the trucker was not acting within the scope and course of his employment in order to avoid the duty to compensate you. What Are Common Defenses That Trucking Companies Raise to Try to Avoid Vicarious Liability in a Truck Wreck? Independent contractor. The trucking company may argue that the trucker was an independent contractor and not an employee. 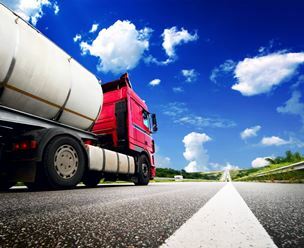 Factors such as whether the trucking company controlled the driver’s work, routes, and loads, required the trucker to follow company standards, and prohibited the trucker from accepting outside work will determine the trucker’s true status. Outside the course and scope of employment. While the law presumes that the trucker was acting within the course and scope of his employment when driving the company’s truck, the trucking company may argue that this was not the case. In some situations, the trucker would not be within the scope of his employment if he was using the truck to do something unrelated to his job. For example, if he drove the truck to one of his children’s soccer games and got into a crash, vicarious liability would not apply. These issues are often not clear cut since a truck driver is often on the road for days at a time and must take breaks after driving a certain number of hours under federal hours of service regulations. Other party’s fault. The trucking company could also argue that you or another party was at fault in causing the crash to avoid vicarious liability. If you or a loved one was in a truck accident, you need an experienced truck accident attorney to help you hold the trucking company and the negligent trucker responsible for compensating you. An experienced lawyer will understand the federal regulations governing trucking companies and the unique complexities in these claims. Contact us online or call our office directly at 888.795.6261 to schedule your free consultation. Get your questions answered and to learn how the experienced legal team at Chris J. Hudson, LLC can help you obtain the compensation you deserve.